Protect and Speed Up Your PC with Wise Care 365 PRO! Wise Care 365 Pro 3.8.6 was available as a giveaway on September 28, 2015! Wise Care 365 PRO speeds up and protects your PC, keeping its maximum performance. It is an all-in-one Windows maintenance and optimization software which includes the fastest scanning engine. Wise Care 365 PRO provides a bundle of important features: registry cleaner, disk cleaner, and other system utilities for your PC. Absorbed all the features of highly-praised Wise Registry Cleaner and Wise Disk Cleaner, Wise Care 365 cleans disk and registry, supports one-click PC checkup, optimizes system and protects privacy. All that make Wise Care 365 stand out from other PC maintenance and optimization utilities available today. Easy to use and effective, Wise Care 365 is the best solution to improve your PC performance. Get Wise Care 365 and your computer will never run slow again! WiseCleaner.com provides free technical support for this giveaway! How would you improve Wise Care 365 Pro 3.8.6? Automatically create a restore point (without asking) before cleaning. Or at least give the option as a pop-up. Say how good the Wise Care 365 Pro is my Laptop Runs so smooth now... Many Thanks for a free try out ..
Have the default setting for the Registry Error cleaner set to off. Running these often seems to create more problems than they solve. An easy-to-use software which can convert all formats of videos just with ONE click or drag. It helps make your switch between devices more flexible. A community for mutual assistance and knowledge sharing. Share your knowledge and get rewarded cash. Keep Your Android Device at Peak Performance. Analyze and safely remove cache files and residual files to free up storage space and improve the performance of your smart phone. 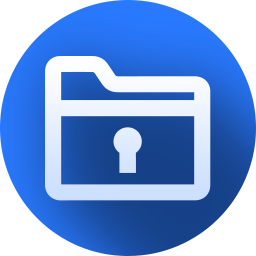 Hide private files, photos, videos and other personal data from your PC. Protect your private data from priers, make your hidden files and folders double secure, modify protected files securily. The program provides a user-friendly interface and low system resources comsumption. I have Wise Care Pro on my PC which I won't be using anymore. I have bought a laptop and I would like to transfer Wise Care to the laptop. I have no further use for the PC. Can this be done and if so how. Reason - I have just renewed my subscription on the PC and don't want to lose it. If only all GAOTD programs installed so easily. Have used the free version for sometime and nearly missed this one. Yes, I agree registry cleaners are useless, but everything else is worthwhile. (I use CCLEANER, Advanced System Care as well as WISE. I like a lot of armour in my defence). Once again, we have a program which simply WILL NOT install under Windows XP Professional. It won't install with the firewall disabled, active or even in safe mode. I got two friends who have XP desktops to try as well. One simply would not install, the other said that it would update some functions, but as he had a previous version, unless he paid at 50% off, it would become a 'free' version. The program installed perfectly on Windows 10 laptop. I've had the paid version of this program for about a year. I honestly don't know how I managed without it! But most importantly, there is no way to Exit the program, to turn it off - the only thing you can do is Kill it. This is NOT acceptable. I like it - but I won't be running it - The tray uses too much CPU, all the time - and Exiting the on-screen display does not change that But most importantly, there is no way to Exit the program, to turn it off - the only thing you can do is Kill it. This is NOT acceptable. Program won't install on Windows 10. I get a corrupt file error and say to download again. I have downloaded 3 times and get the same error. It says the program is registered on GOTD but it won't install. I have been using this program for many years. I first tried it as a give away from GOTD and was very pleaded with the results. I then bought a lifetime licence at a reduced price because I had taken advantage of the give away. The program has never disappointed me in any way. In fact it has got better. It has served me well over the years. The jet search has to be the fastest search program around. i now only have this program and my popular named anti virus program to satisfy all of my needs. I have been able to get rid of all those other programs that say they are you-beaut but really clog up and slow down the system. Ms I keep getting an error saying "failed to connect please try again later" on my laptop...can anyone help? I notice in the earlier posts that no one has mentioned the portable option (except for xilolee). After installing, firstly check that you have registered the program, then go into settings and the option is there to make "Portable". Once you have completed this option, you may uninstall Wise Care and keep the registered, portable, full version! Now you need not be concerned about losing Wise Care 365 Pro in the future for whatever reason! I notice in the earlier posts that no one has mentioned the portable option (except for xilolee). After installing, firstly check that you have registered the program, then go into settings and the option is there to make "Portable". Once you have completed this option, you may uninstall Wise Care and keep the registered, portable, full version! Now you need not be concerned about losing Wise Care 365 Pro in the future for whatever reason! Or after you make your portable. Enjoy the software knowing that you have backup. Doesn't seem to want to work with Windows 10. I tried and keep getting loads of errors. Setup doesn't work. It ask for admin permission, the mouse thinks, but nothing happens. WiseCare 365 is a permanent part of my toolkit. I love this piece of software! What can I say? Every single time this is offered, I grab it. Used in conjunction with Ccleaner and Privazer this brilliant offering can be made portable (which is genius for using on my friends' systems) and includes a registry defragger which I find really handy to run every couple of months. I recommend this without reservation. Simply put: If I satrt off on a brand new system tomorrow? Wise Care 365 would be one of the first things that I install. It's an absolute winner: thumbs up from me. Free, it's worth every penny, and paid for? Also worth every penny. WiseCare 365 is a permanent part of my toolkit. I love this piece of software! What can I say? Every single time this is offered, I grab it. Used in conjunction with Ccleaner and Privazer this brilliant offering can be made portable (which is genius for using on my friends' systems) and includes a registry defragger which I find really handy to run every couple of months. The last GAOTD included access to stuff like a RAM optimizer, and while I'm not sure if my very puny, little atom processor benefits from it or not, it's included in the very reasonable asking price of $30.00 I recommend this without reservation. Simply put: If I satrt off on a brand new system tomorrow? Wise Care 365 would be one of the first things that I install. It's an absolute winner: thumbs up from me. Free, it's worth every penny, and paid for? Also worth every penny. Downloaded,unzipped, ran the setup.exe file from the extracted folder. Chose yes for the User account control question. Next message was the program was activating. Next was a successfully activated message. The program itself never installed! downloaded the product, having first 'registered' using my email address for GOTD. the downloaded file did not run, there was a 'file corrupted' message. Tried again same message. downloaded the product, having first 'registered' using my email address for GOTD. the downloaded file did not run, there was a 'file corrupted' message. Tried again same message. Can you help please. I replaced the hard drive with SSD so there is a clean install of Windows 7, 64bit so maybe something is wrong with the laptop? Same here on DELL E6410 I5, 256gb SSD, 4gb memory, Windows 7, 64bit I replaced the hard drive with SSD so there is a clean install of Windows 7, 64bit so maybe something is wrong with the laptop? Download and setup super easy. I ran the "checkup", and found 3.8GB of useless junk. Also I ran the "Big File Manager" and discovered a screen capture video at 3.2GB. Needless to say that trash has been removed, gained 7GB of free space! You can go to Custom, then settings to remove anything you may not want. This is a keeper! Thanks GOTD and Wise Care 365 Pro 3.8.6 !!! This is a great Program. I've used it before ,and it finds problems and fixes them. Thank to developer and GOTD! Thanks to GOTD and WiseCleaner for this offer. Most reviews I have read have been overall positive for Wise Care 365 Free/Pro. I did not see any discussion on length of license, so before I go and install it, would some one please confirm the license duration, is it a 6 month, 1 year or lifetime license with no free upgrades? Thanks to GOTD and WiseCleaner for this offer. Most reviews I have read have been overall positive for Wise Care 365 Free/Pro. I did not see any discussion on length of license, so before I go and install it, would some one please confirm the license duration, is it a 6 month, 1 year or lifetime license with no free upgrades? Thank you. I use the free version of Wise Care 365 and accept their frequent updates. If I install this Pro version of Wise Care 365, it seems I must reject their monthly updates. Which is preferable...up-to-date free version or the Pro version growing old and out of date? Just check the bug fixes when a new version appears and decide if you need them or not. For example, if you don't use the registry cleaner, you can ignore the bug fixes of it and you could remain with the pro version. Instead if you are using the registry cleaner, and a new version appears with RegCleaner bug fixes, you'll get the new one (losing the pro). Hi Dan. Just check the bug fixes when a new version appears and decide if you need them or not. For example, if you don't use the registry cleaner, you can ignore the bug fixes of it and you could remain with the pro version. Instead if you are using the registry cleaner, and a new version appears with RegCleaner bug fixes, you'll get the new one (losing the pro). Do we need to uninstall the previous version or will it simply overwrite it? Secondly are there any improvements since the last time? It is installed usually in "c:\program files (x86)\wise\wise care 365" (or a similar path, I'm not totally certain of it because I'm using the portable one). If you didn't change the path the first time, the setup should overwrite the current version. If you changed the path the first time, I think the setup should retrieve the correct path by itself; if it shouldn't, check the actual path before re-install it. In any case, if you want to overwrite the program, it MUST be closed(!!!) when you are overwriting it. Hi Frank. It is installed usually in "c:\program files (x86)\wise\wise care 365" (or a similar path, I'm not totally certain of it because I'm using the portable one). If you didn't change the path the first time, the setup should overwrite the current version. If you changed the path the first time, I think the setup should retrieve the correct path by itself; if it shouldn't, check the actual path before re-install it. In any case, if you want to overwrite the program, it MUST be closed(!!!) when you are overwriting it. I installed this version 3.86 into a separate folder. So I have access to both programs. Tested them and all is Good. GET THIS PROGRAM DO NOT HESITATE. I agree with #2 Jeff. I've been using this since the last time it was given away on GOTD. I use it every day. I like what it does. Working now. No idea why but glad! Not being a facebook or twitter user, I wanted the email to link my download. The link does not work on this new W10 laptop. Perhaps I need to learn how to run W10? After "cleaning", "fixing", and optimization, I would like to have had the option to defrag. It is in "system tuneup" - "disk defrag". Oops. Thank you! Don't know how I missed that. Don't have any excuse except spending too much time with Wise Care and then having to rush LOL. I used to have a system registry cleaner that showed the path of each entry it found so I could check for myself nonexistence or unwantedness of each entry; last time I tried a few, I couldn't find it again. (New hard drive, I didn't make a note of what program it was.) I don't really need this, but if it had this feature, I would probably try it. You can in fact check each registry entry. You can't do it from pc checkup, but you can do it in "system cleaner" (near pc checkup) - "registry cleaner". It is also possible to exclude the rows (unfortunately, one by one). Hi Therese S. You can in fact check each registry entry. You can't do it from pc checkup, but you can do it in "system cleaner" (near pc checkup) - "registry cleaner". It is also possible to exclude the rows (unfortunately, one by one). I'm surprised no one has mentioned PrivaZer as a clean-up tool, or maybe I overlooked a post. I use CCleaner weekly, and PriVazer monthly. WC365 is fine, but it's other features never compelled me to keep it. Same with Glary U. If WC365 is YOUR choice, I suggest PriVazer in addition. I'm surprised no one has mentioned PrivaZer as a clean-up tool, or maybe I overlooked a post. I use CCleaner weekly, and PriVazer monthly. WC365 is fine, but it's other features never compelled me to keep it. Same with Glary U. If WC365 is YOUR choice, I suggest PriVazer in addition. Installed OK and ran first time OK. Win7 Home Premium Toshiba Satellite laptop. But from then on, the Main Menu Window is blank white space. All I can do is close program. Restart also produces a blank Menu window. Tried reinstalling, but same thing happens. I seem to remember this happened with the previous GAOTD version and I had to uninstall it. Installed OK and ran first time OK. Win7 Home Premium Toshiba Satellite laptop. But from then on, the Main Menu Window is blank white space. All I can do is close program. Restart also produces a blank Menu window. Tried reinstalling, but same thing happens. I seem to remember this happened with the previous GAOTD version and I had to uninstall it. They'll probably help/reply you tomorrow. Hi BillK. Try to send an email to their support: support AT wisecleaner DOT com They'll probably help/reply you tomorrow. I'll post any response I get. Done. Thanks I'll post any response I get. I have been using this program for years. I have found it to be far superior to other - free - programs offered for the cleaning that this program does all in one. It has many features of which you can pick and choose what to use and not. I do not use the Registry Cleaner as I will only use CCleaner Registry Cleaner for that. In general cleaning every day I use it and it always has done an excellent job. I have it set to automatically run half way through my day in a cleaning as well. I have was a regular user of only CCleaner....also (some paid and some gotten through pages such as this) Advance Care System Pro...Glary Utilities...Some Obit programs and this program is by far the best cleaner over them. This is not the only program I will run to clean my computer which is a brand new laptop and on a 6 year old laptop I just put away it worked perfectly as well. I have been using this program for years. I have found it to be far superior to other - free - programs offered for the cleaning that this program does all in one. It has many features of which you can pick and choose what to use and not. I do not use the Registry Cleaner as I will only use CCleaner Registry Cleaner for that. In general cleaning every day I use it and it always has done an excellent job. I have it set to automatically run half way through my day in a cleaning as well. I have was a regular user of only CCleaner....also (some paid and some gotten through pages such as this) Advance Care System Pro...Glary Utilities...Some Obit programs and this program is by far the best cleaner over them. This is not the only program I will run to clean my computer which is a brand new laptop and on a 6 year old laptop I just put away it worked perfectly as well. GarbageFinder is the best cleaner program I've found to date. It was a GOTD a few years ago. I usually just see what XP-Man thinks and used to follow Giovanni when he would "pontificate". (from the Pope US visit, remember). XP-Man liked it so-o-o-o. and thanks XPM. Also watch the Japanese expert, and others. You should install it JUST to experience the installation. No keys or serial numbers, installs itse.lf. Easy. Wise found many MORE problems in registry, 1.1 GB of room from temp files and junk - wow!, and fixed many other problems that I didn't know I had. Yep, Keeping this one. Thanks GAOTD and WISE. Very very nice giveaway and installation was a dream. I am impressed by comments from xilolee, that made a great difference, too. You don't hear from me much, but this one is Good and I should tell you what happened. Running Win 7 32 - tons of links on desktop, folders everywhere, 2007 COMPAQ laptop 1990 PC mentality. My laptop is on for 14 hours a day I usually just see what XP-Man thinks and used to follow Giovanni when he would "pontificate". (from the Pope US visit, remember). XP-Man liked it so-o-o-o. and thanks XPM. Also watch the Japanese expert, and others. You should install it JUST to experience the installation. No keys or serial numbers, installs itse.lf. Easy. I usually use Pro versions of Glary and CCleaner to clean junk and registry. They do great. Every two weeks. I was as good as it gets Wise found many MORE problems in registry, 1.1 GB of room from temp files and junk - wow!, and fixed many other problems that I didn't know I had. Yep, Keeping this one. Thanks GAOTD and WISE. Very very nice giveaway and installation was a dream. I am impressed by comments from xilolee, that made a great difference, too. WiseCare365 IS a freeware, too. Hi Franke. WiseCare365 IS a freeware, too. The PRO version adds these functionalities: - system cleaner section: big files manager - system tuneup section: context menu (Handling/managing) - privacy protector section: privacy eraser - themes: some themes are available only with pro - automatical program updating (I could have forgot something) Hope this helps. Did the usual clean up, but unusual to my experience it also found many Windows or Update files which were classed a junk files. I had to smile but I also smiled at seeing them total 3 gig which Wise removed. OK, today 3 gig isn't much of a load on a typical system which goes one or more terabytes i storage, but it's still nice being rid of. Did the whole auto cleanup after a registry backup. System running perfectly. Wise had a good rep and has earned it too. Did the usual clean up, but unusual to my experience it also found many Windows or Update files which were classed a junk files. I had to smile but I also smiled at seeing them total 3 gig which Wise removed. OK, today 3 gig isn't much of a load on a typical system which goes one or more terabytes i storage, but it's still nice being rid of. Did the whole auto cleanup after a registry backup. System running perfectly. Wise had a good rep and has earned it too. Never liked these kind of programs, anything that messes with the registry is a no no, in almost 100% of times they will remove something that is a necessary component of something running on the system. I have used both said. I prefer this to ANY cleaner on the market. I won't let it touch the registry only use CCLEANER for that. I highly recommend this program! You can customize the one-click option (checkup) in custom - settings - custom checkup. If you don't like the registry cleaner, you can untick every settings of it. The same applies to other options (common cleaner, system tuneup, and so forth). I.e., the program doesn't mess with the windows registry, if you don't want to. Hi Baz. You can customize the one-click option (checkup) in custom - settings - custom checkup. If you don't like the registry cleaner, you can untick every settings of it. The same applies to other options (common cleaner, system tuneup, and so forth). I.e., the program doesn't mess with the windows registry, if you don't want to. I wish GOTD users would confine their posts to their own experience with the software Giveaway of the Day. We all k now what they say about "opinions…" everyone has one, but their only real value is to the person who holds it. Try it and keep it. See #8 for optimal usage. I am also a long time user with no serious issues. I like to see the boot time as this gives early warning of issues with recently installed programs that try to start at boot even when they promise not to... Only issues with my full version is silly little pop up with 'news' at random intervals which this Giveaawy prompts me to get rid of... Try it and keep it. See #8 for optimal usage. If you don't like the "news pop up", you can untick "Check for newsletter while loading application" (custom, settings, general). Hi Grumpy. If you don't like the "news pop up", you can untick "Check for newsletter while loading application" (custom, settings, general). By the way, I strongly recommend a system restore point (the program can create one on itself, but any users can create one from backup, at top - title bar). And get a system image, if the system is in good shape. Sometimes, using MORE (or even only one) suites of this type can mess the system. Hi Burl. I agree with you. By the way, I strongly recommend a system restore point (the program can create one on itself, but any users can create one from backup, at top - title bar). And get a system image, if the system is in good shape. Sometimes, using MORE (or even only one) suites of this type can mess the system. Be careful. Thank you for the suggestion...I'm not extremely computer savvy,. I know how to do a restore point, but how do I get a system image? Thanks in advance. Free, and with technical support offered as well... What's to whine or complain about here? If you feel there is a freeware alternative or 2 that offers just as much, go get it, leave this one alone, and miss out. For everyone else: I highly recommend today's give away. I've been using Wise Care on 3 home PC desk and laptops for over 4 years, without a single issue, question, perplexing moment, or shake of the head. It works as you might expect an all-in-one cleaner/booster/defragger type would. (Glary as a comparable example) Free, and with technical support offered as well... What's to whine or complain about here? If you feel there is a freeware alternative or 2 that offers just as much, go get it, leave this one alone, and miss out. For everyone else: I highly recommend today's give away. @Mr. Burl: When you like it: ok! But using for over 4 years - tell me for what, please? So for what do I need it? All-in-one sounds good - but the booster/defragger I would never use. But it can of course everyone decide for himself what he expects of his system. @Mr. Burl: When you like it: ok! But using for over 4 years - tell me for what, please? Cleaner: There is a good freeware which almost everyone knows enough... Booster: Useless - none of such tools really make your system faster/better - there are enough tests which showing that... Defragger: The windows-own is since years nearly the best and I´ll never will use such a tool for it... So for what do I need it? All-in-one sounds good - but the booster/defragger I would never use. But it can of course everyone decide for himself what he expects of his system. This is not a cent worth - all usable functions make freeware also (or better) or windows himself. Who is interested how long is the boot time - these and many other functions are complete useless. I totally agree. And above all: NEVER use registry cleaners. The registry is very sensitive and slight errors can have major impact on your system. Only mess with the registry if you know what you're doing. How does this software compare to Advanced System Care, or Glary Utilities. Thanks. I think you can try it and compare it with the other ones. Hi Gaz. They are similar programs. I think you can try it and compare it with the other ones. Then make your suggestions. I too have used Glary Utilities & find it better-more options,faster and carrying lots of extras. But as xilolee states " Your choice". Try both or indeed ,ALL! I too have used Glary Utilities &amp; find it better-more options,faster and carrying lots of extras. But as xilolee states " Your choice". Try both or indeed ,ALL! I have been using this program for approximately 2 years. I believe it is the best out there. They have a free version that does not remove all the privacy issues. I use C Cleaner immediately after running the free version of this program and then re-scan the free version of Wise Care. It shows everything is gone for privacy issues. I was told long time ago that no one program is the best. So I use C-Cleaner, Glary Utilities Pro and Wise Care Pro. I have never had any problems with my Win7 Pro. The Big File manager in Wise Care is the best and Wise Care also removes all the downloaded update files that Windows update puts onto your machine and leaves behind after the update. I recommend this program highly, but what do I know, I am just a 69 year old woman who has been using a computer since '95, taught several classes and still helping people who need help learning! Thank you GAOD for having this today and Wise Care as my version is an older one and now I will be close to being current. I downloaded a previous version of this and I am not very pleased with it's operation. Apart from the annoying window which pops up every time the computer boots up, it does not clean all the privacy files after surfing the web. When using Privacy Protector, it usually finds between 500 and 600 possible risks, even though I might have looked at only 1 or 2 websites. It doesn't remove the Downloaded files from Firefox, or the Recent files. Whatever the 500 or so files are that it allegedly removes is anybodies guess. I downloaded a previous version of this and I am not very pleased with it's operation. Apart from the annoying window which pops up every time the computer boots up, it does not clean all the privacy files after surfing the web. When using Privacy Protector, it usually finds between 500 and 600 possible risks, even though I might have looked at only 1 or 2 websites. It doesn't remove the Downloaded files from Firefox, or the Recent files. Whatever the 500 or so files are that it allegedly removes is anybodies guess. That is the case when using the FREE version. The PRO version should clean "privacy protector" section, instead. You can anyway customize your cleaning with the UserCustom.ini (although it needs some time to understand how it works). Hi stackerjack. That is the case when using the FREE version. The PRO version should clean "privacy protector" section, instead. You can anyway customize your cleaning with the UserCustom.ini (although it needs some time to understand how it works). As someone else reported, software runs during your computer's startup reporting the boot time (which isn't that useful) thereby slowing down your startup. I do use their (free) standalone registry cleaner that's quite fast. CCleaner does a superior job of cleaning the basement...the temp file folder and just about all other arcane locations for junk files in Windows. These simplest of installation and registrations, just run the setup. Opens up to an equally simple and usable interface. A scan of my machine picked up a number of areas where it considered improvement could be made. It is possible to expand the information contained in each area and they can be ignored at the user's choice. Another area that proved particularly useful was Big Files Manager which found files I had forgotten about, mostly video and DVD files, these were taking more than a third of my disk space! This would have been useful a few weeks ago when I couldn't understand why my hard drive was filling up so rapidly, found that I have been logging computer information and the log file had grown to 26 GB. Recently computer problems have changed my attitude to programs of this type, Auslogics BoostSpeed 7 has been particularly useful in improving performance. I believe today's download could be the same in its usefulness, but examination of the results before any actions taken is a must in my opinion. These simplest of installation and registrations, just run the setup. Opens up to an equally simple and usable interface. A scan of my machine picked up a number of areas where it considered improvement could be made. It is possible to expand the information contained in each area and they can be ignored at the user's choice. Another area that proved particularly useful was Big Files Manager which found files I had forgotten about, mostly video and DVD files, these were taking more than a third of my disk space! This would have been useful a few weeks ago when I couldn't understand why my hard drive was filling up so rapidly, found that I have been logging computer information and the log file had grown to 26 GB. Recently computer problems have changed my attitude to programs of this type, Auslogics BoostSpeed 7 has been particularly useful in improving performance. I believe today's download could be the same in its usefulness, but examination of the results before any actions taken is a must in my opinion. A keeper for me. Just found an absolute gem under utilities, Fast Search, boy is it fast! The fast search is Wise Jet Search, a freeware from WiseCleaner. It is not part of WiseCare365, but from the program you can recall almost every other of their free utilities. Wise Disk Cleaner is probably the most useful program from the suite. WDC always manages to find extra gigabytes of unneeded Windows installation and downloaded files on my PC that TuneUp Utilities does not. I have been using the standalone WDC for years now, and I have never had any issues after removing those GBs of Windows files via WDC. i have its previous version. I only use it to see how fast my restart process is. It displays booting time at each start. Then i exit the program as i don't use the other features.